Electroluminesence an audiovisual composition composed by Sharon Phelan in 2009 is a very hypnotic and beautiful audio visual piece with a very stylised colour scheme and motion palette. Sharon composed the music to the visuals, a kind of deep seeing and hearing. I saw this again yesterday evening in the ATRL lab, Trinity College, Dublin and it was quite stunning aurally and visually in such a great setting, with high quality projection and audio. 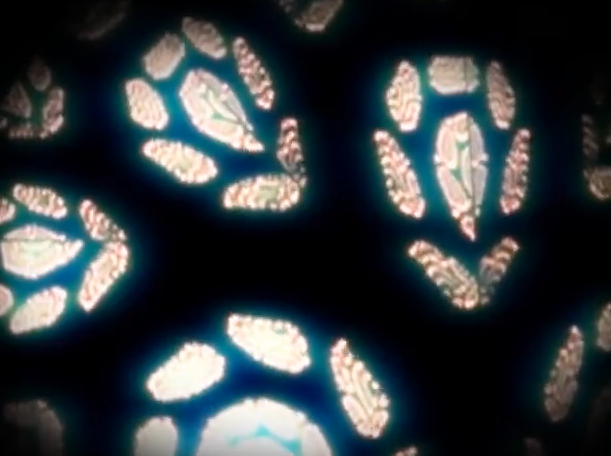 Electroluminescence from Sharon Phelan on Vimeo. "Audiovisual composition consisting of video feedback. The music and visuals were informed by each other in an exploration of emergent forms. Slight changes to certain parameters lead to complex results."